Sun, a great climate, beautiful courses, delicious food, art, culture, excellent facilities, Italian Style, the allure of the “eternal city”. These are the essential elements needed to deliver a perfect golfing holiday and which you can now mix and match to experience a truly unforgettable trip. We offer you the ability to choose which and how many courses to play, where to stay, what to visit and how to get around. We offer two types of package which we call “Sleep&Play” e “Full Pack”. 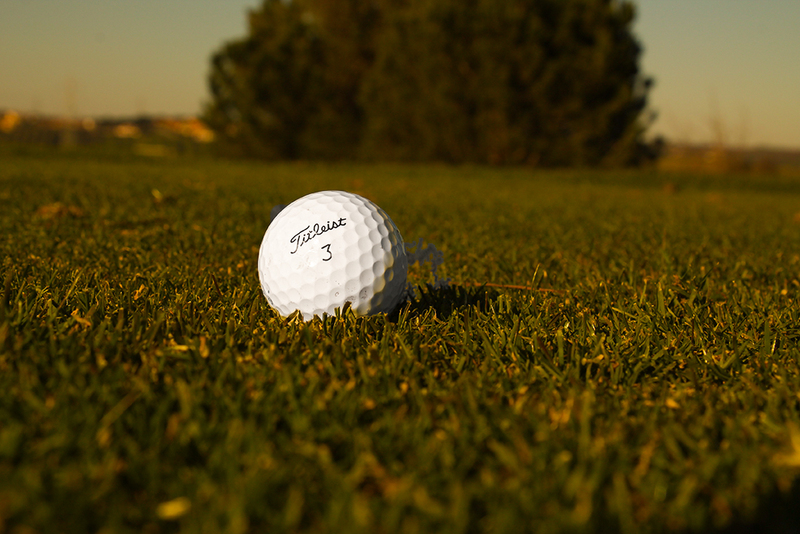 The first option (Sleep&Play) includes your accommodation (with breakfast) and green fees (including trolley hire). You are then free to organise your own transfers, meals and free time sightseeing. 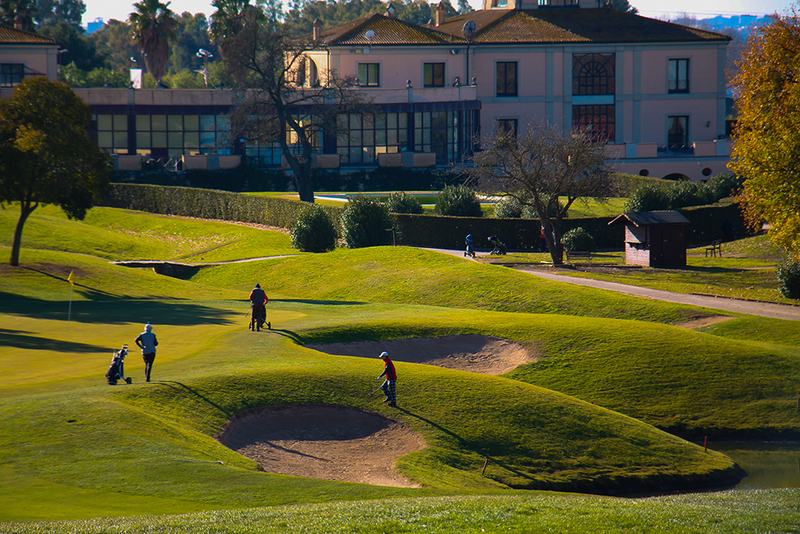 The second option( Full Pack) includes your airport transfers both ways, half board accommodation, transfers to and from the chosen golf courses, green fees and trolley, lunch at the chosen golf club and evening entertainments and gastronomic tastings of local specialities. 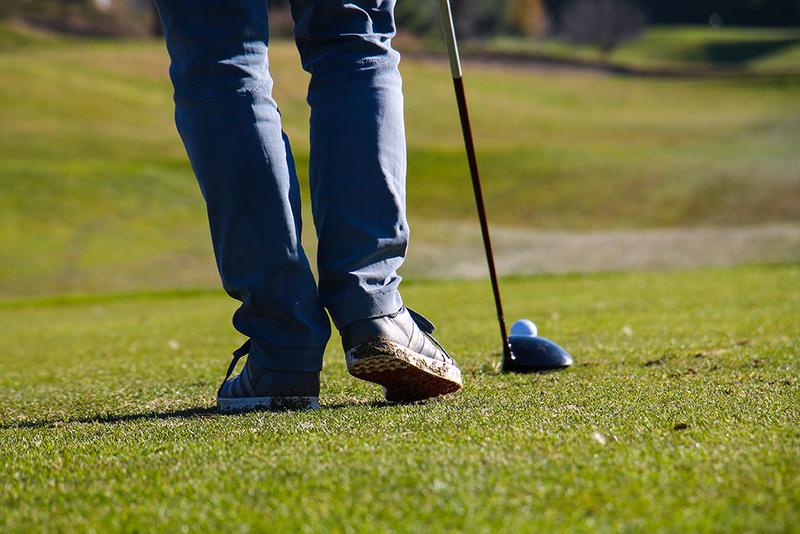 In addition, for your golfing rest days, you can add one of our “Visit” packages available in the “Itineraries” section where you can pre-pay an excursion to some of the most characteristic sites in our area. Our excursions include transfers, a guide and lunch in a typical local restaurant. 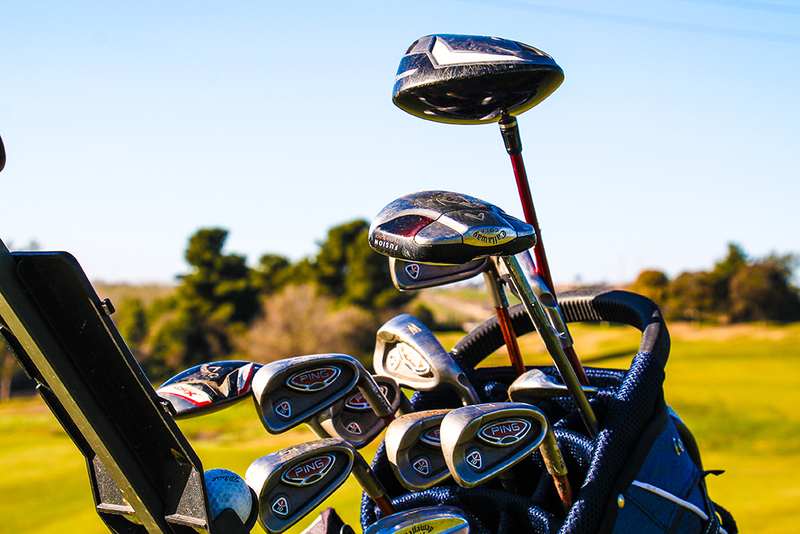 By combining our “Full Pack” and “Visit” options there will only be one thing left for you to worry about….your swing! 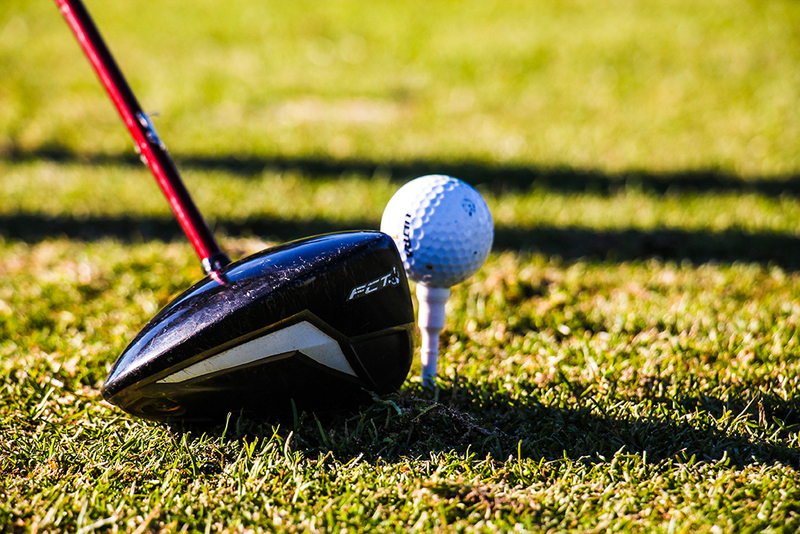 Let us take care of the rest, and should your swing need a little fine tuning we can even help with that by arranging a federal pro teacher, golf clinic, club fitting and just about anything else that might be needed! Our accomodation packages include access to the “benefits” supplied by the host. At the Hotel Salus this includes the Thermal Spa, and at the Agriturismo “Il Casaletto” this includes their outdoor pool and Jacuzzi. Remember you can choose either our “Short Stay” (3 days) or “Week” (7 days) options. Even the members of your party who have not yet discovered the joys of golf can enjoy a wonderful trip. We have discounted rates for the non-players who can still enjoy all the “Visit” options and other activities described in our “Itinerary” section whilst their partner is out on the golf course. In the “Options and Information” section you can specify any tailor made requirements you have and request a bespoke option. 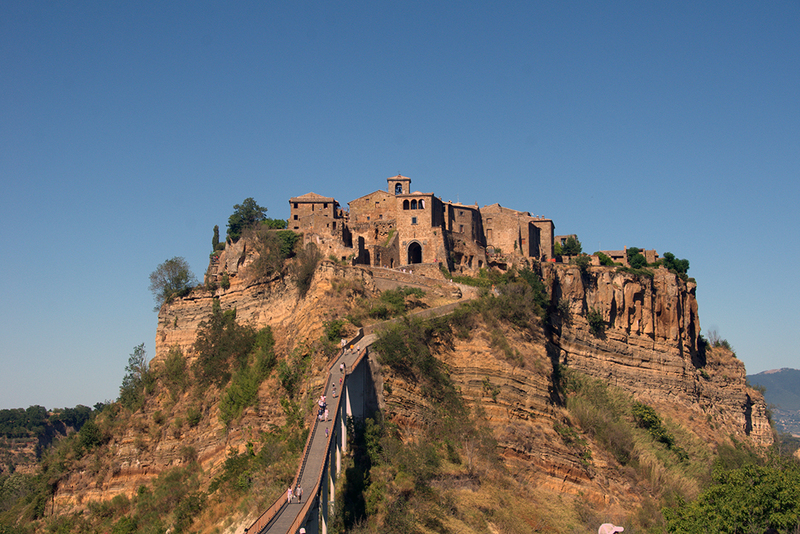 We have chosen Viterbo as our main base because it’s a splendid medieval city close to Rome that allows easy access to both the capital and our chosen golf courses without the risk of getting caught up in Rome’s notoriously bad traffic. It also gives us the chance to manage costs and offer you a superior service at a lower cost. You will also have the benefit of staying in a thermal city, full of interest and tradition that absolutely deserves to be discovered. Viterbo is the capital of the “Tuscia” the heart of the ancient pre-Roman Etruscan civilisation and nestled between Rome, Tuscany and Umbria. 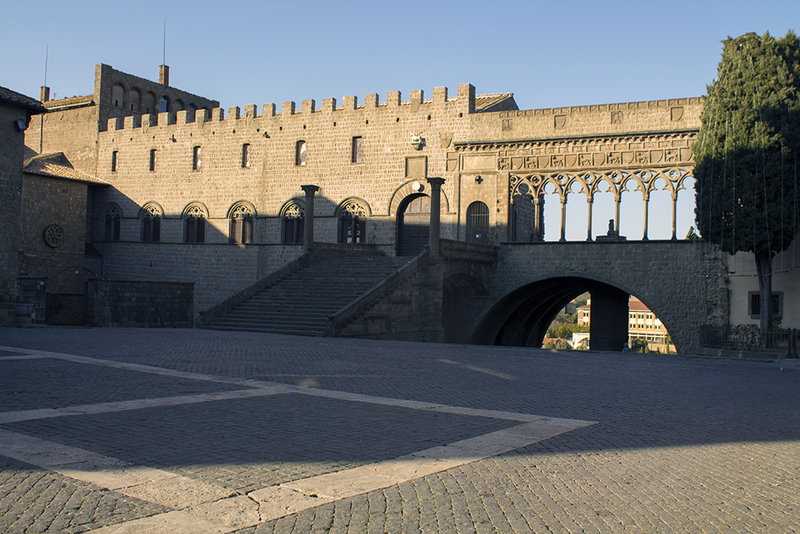 Viterbo itself still displays traces of its ancient Etruscan and Roman past but is above all else known for its exceptionally well preserved and extensive medieval quarter of San Pellegrino and the papal palaces that made Medieval Viterbo the “city of Popes”. 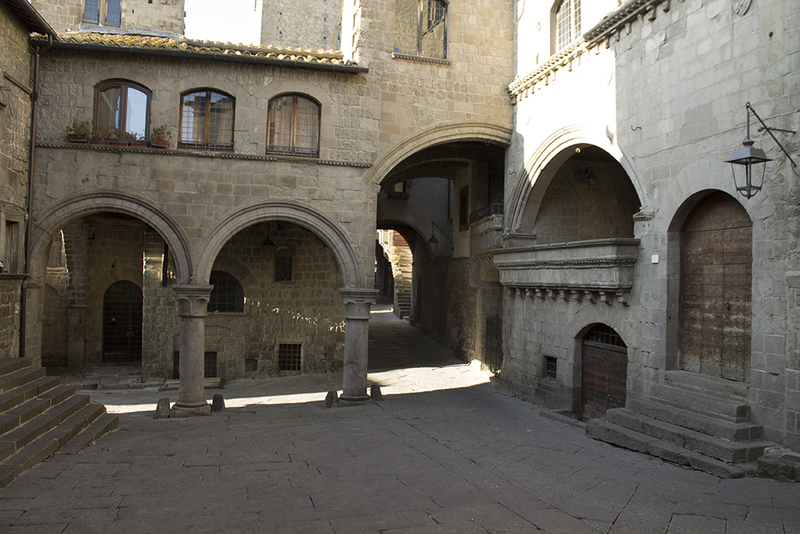 This part of the city is internationally recognised as one of the best preserved medieval quarters in Europe, and frequently features as a living set in films and advertising. We love it as it is also home to lots of lively bars and restaurants where you can sample the fine wines and great cooking for which this region of Italy is so well known, in between visiting the many beautiful fountains, churches and palaces of course! The city will delight you for its many ornamental fountains, its beautiful cloistered churches and its unforgettable palaces, above all else the Palazzo dei Priori with its fascinating interiors. A special mention should be made of the “Macchina di. S.Rosa”, a splendid 30 meter high bell tower that every 3rd of September is carried in procession on the shoulders of brave residents known as “Facchini” (porters). This procession has been designated a UNESCO world heritage event. 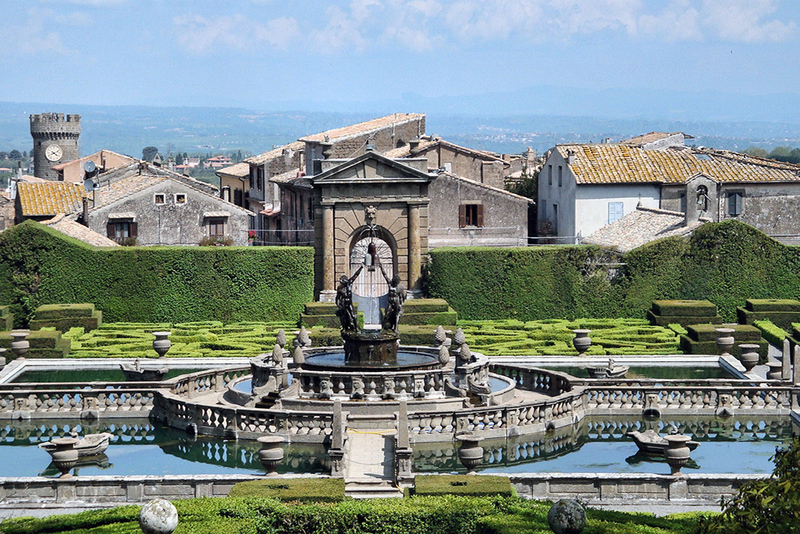 Any visit to the city must include Villa Lante whose gardens, fountains and sculptures comprise one of the most famous parks in Italy and a 16th century mannerist masterpiece and was recently the film set of “The Young Pope”. 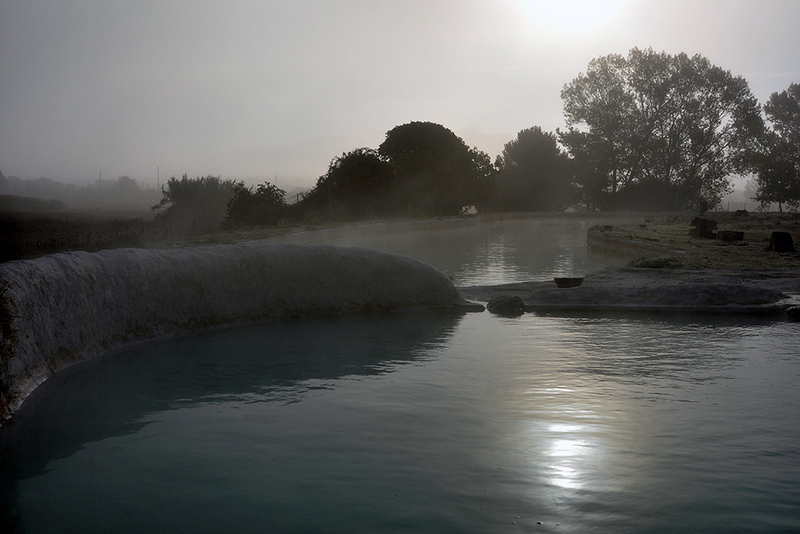 Whether you have been playing golf or enjoying one of our guided tours you can end the day with a relaxing dive in the pool or the healthy hot waters of tour thermal springs. No less important is the rich culinary heritage of this city based on fine local ingredients and a long tradition of country cooking at its best. 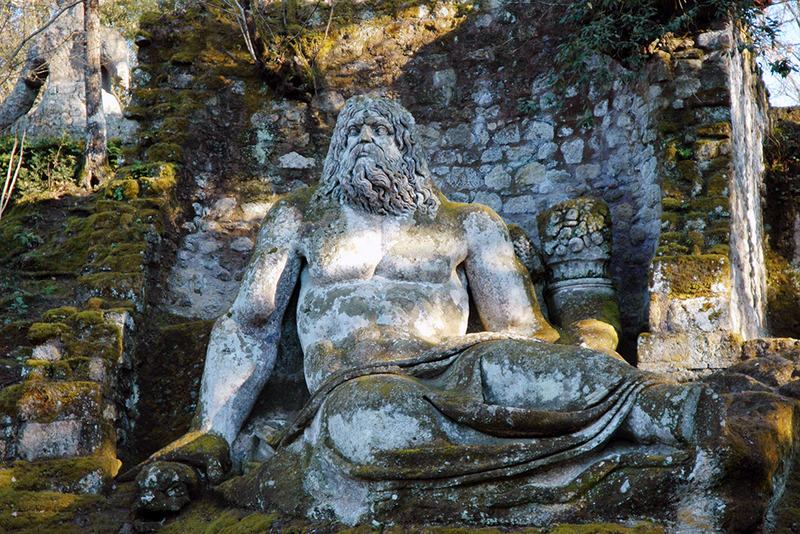 We are sure that a holiday in Viterbo will be an unforgettable experience. However for those that really cannot resist the charms of the “Eternal City” we have chosen an excellent hotel in the heart of Rome. You will be able to access all the sights in minutes, either by foot or public transport, and immerse yourself in Rome’s magical atmosphere. We are 4 Golf enthusiasts who having hit our forties decided to dedicate ourselves to a truly special project…before becoming senior players! It might be because we Italians did not know how to organise ourselves like other nations, because we did not invest in purpose built hotel & golf complexes…maybe also because others were better organised than us. But now things are changing: it is no accident that the 2022 Ryder Cup will be played in Rome. 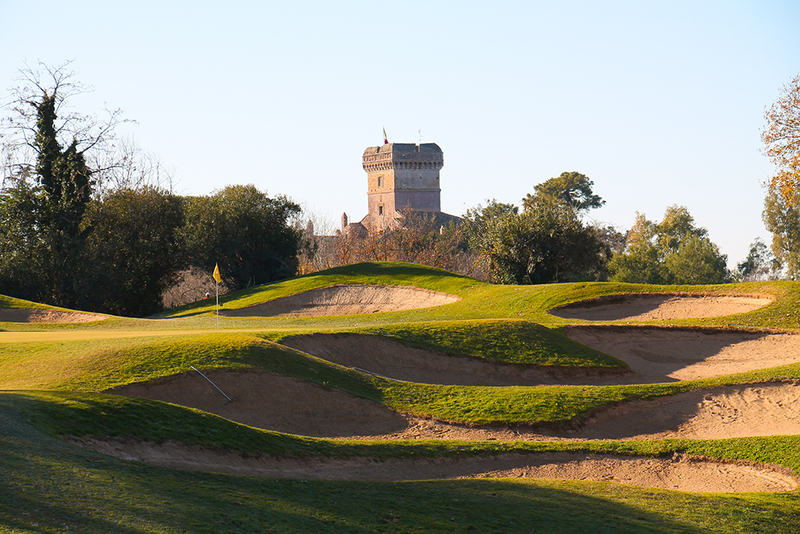 And so we decided to offer something unique: to play golf in Rome and upper Lazio, to enjoy its beautiful courses and lovely climate, its fantastic cooking and warm welcome designed to give you an exceptional golfing break. An unexpected week with 2 all inclusive packages allowing you to play a different course every day, eat well, sleep in carefully chosen locations and enjoy a guided tour of the Capital. In addition to our two packages we can custom build a series of different options suitable for families or for those who want to enjoy the good life: winery visits, thermal baths, massages, specialist sightseeing and archelogical site, dinners in starred restaurants, private golf lessons, club and bag hire etc…what more could you want? Choose your package or custom build your holiday, we are waiting for you!